Older technology is making big bucks these days and are being used as antiques! 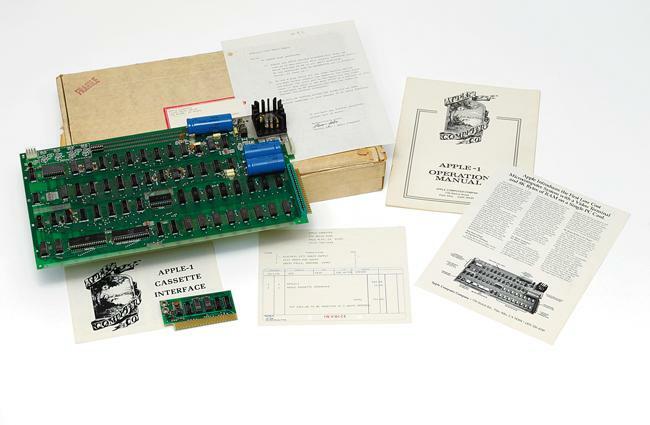 Today at Christie’s which is a fine-art auction house in London, the Apple 1 motherboard went on auction. The highest winning bidder was Marco Boglione, a private Italian collector who paid $212,267 for the Apple 1 mother board. Along with the motherboard, the winning bidder also got its original box, instruction manuals and a signed letter from Steve Jobs! Apple 1 is considered the mother of all Apple motherboards which helped launch the home computer revolution. The auction was also attended by Steve Wozniak who is the co-founder of Apple and also the person who designed and constructed the Apple 1. Steve Jobs Biography Coming Soon! Next iTunes sells 2 Million Beatles Tracks already!